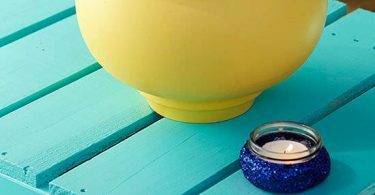 Spring is here and in full bloom, which means it’s time to get out into your backyard to prepare for outdoor living season. Chances are, you’ll be inspecting and maintaining your deck, bringing the garden back to life, or opening your pool. Perhaps, you have some exciting backyard upgrades planned, like creating a recreation zone or adding an outdoor pizza oven? In addition to the backyard maintenance and improvements you have planned, there is another outdoor living upgrade that we think every homeowner should consider –and that’s the addition of a sunroom. If you live in a region where the spring and summer climate can be rainy one day and scorching hot the next, it’s great to have a solution that allows you to continue enjoying the fresh air and beautiful sights in comfort. Wall panels are sliding windows, typically framed with aluminum, vinyl, or fiberglass. When the windows are open, it provides occupants with the fresh air and auditory enjoyment that comes with being outdoors, but with the comfort of being shielded from the hot sun, rain, and biting insects. If you’re thinking about adding a sunroom to your home, the first thing you need to consider is whether you want a 3-season space or a 4-season space. The primary difference between the two is insulation. 3 season rooms generally have thinner roof panels, and windows are single-glazed. 4-season room are equipped with thicker roof panels, double glazed windows and insulated walls –making it very much like the rest of your home. 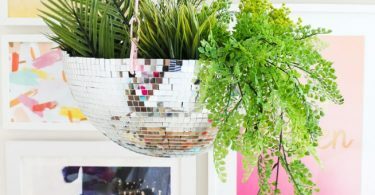 The choice between a four-season or three-season room typically comes down to your budget and whether you would actually use the room year-round. If your home is blessed with a beautiful view, or you’d like to enclose a hot tub or swim spa in the space, then a four-season room is definitely worth the extra cost. However, if you aren’t likely to spend much time there during the winter months, a three-season room is likely sufficient. Placement is also something else to consider. If you plan to place your sunroom off of the kitchen, and like the idea of using it as a sunny breakfast nook, then a four-season option will definitely be your best bet. When opting for a three-season room make sure that you’re 100% committed to the choice. A few years down the road, you won’t want to regret the decision. Resale value is another factor to keep in mind when making your choice. Some people love the look of a winter scene and would see value in being able to use the space all year long. Unlike upgrading a kitchen or finishing a basement, adding a sunroom isn’t the type of home renovation that is likely to see direct returns when it comes time to sell your home. However, the true value of making a sunroom a part of your home is something that cannot be strictly measured in dollars and cents. Adding a space that allows outdoor enjoyment year-round provides sensory and emotional benefits as well. Not only is a sunroom something that adds functionality and enjoyment for the homeowners and their guests, it can also make outdoor enjoyment more accessible for certain individuals. Such people may include individuals with sun sensitivities as well as those with allergies to stinging insects. 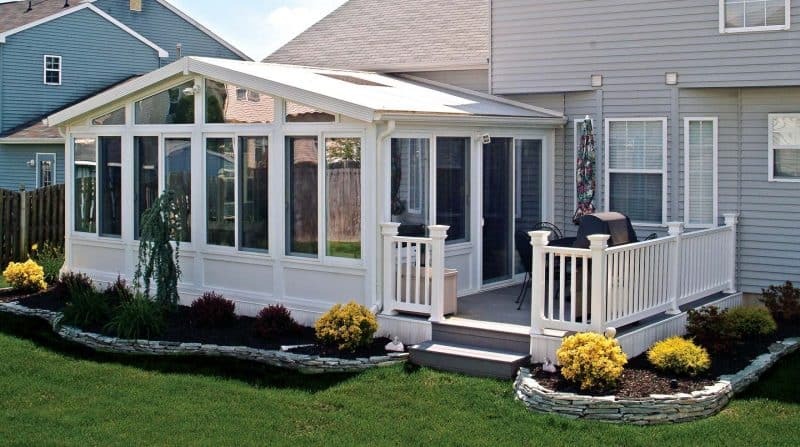 Although prefabricated sunroom kits do exist, adding a sunroom is not a DIY project for most homeowners. For the best results contact a local contractor specializing in sunroom installations, rather than trying to take on such a big project on your own. When hiring a contractor, be sure to do your research first. Gather the names of a few preferred professionals and visit their websites. Look up any reviews online and ask to see examples of their work. Most of the more established sun room contractors will have a showroom that you can visit. This will give you the best example of the type of structure they can add to your home. Ensure that your selected contractor understands the entire scope of the building and planning process. This includes building codes and legal requirements for your city or town. Don’t forget that your sunroom is meant to provide comfort. This means that your project will require an electrician, and possibly even HVAC professional if you plan to heat it, or even a plumber –depending on how you plan to use the room. Your contractor might be able to help you arrange these services, by either taking on the responsibility of contacting the specialists for you, or by providing you with some trusted professionals with whom they’ve worked with before. Ready to extend your outdoor enjoyment? Browse the listings of sun room contractors here on eieihome.com.